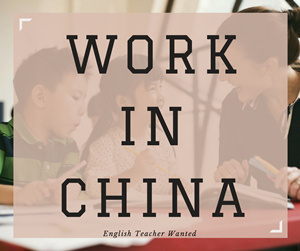 If you are in China looking for work or want to get a job in a Chinese company, preparing a Chinese resume is necessary. 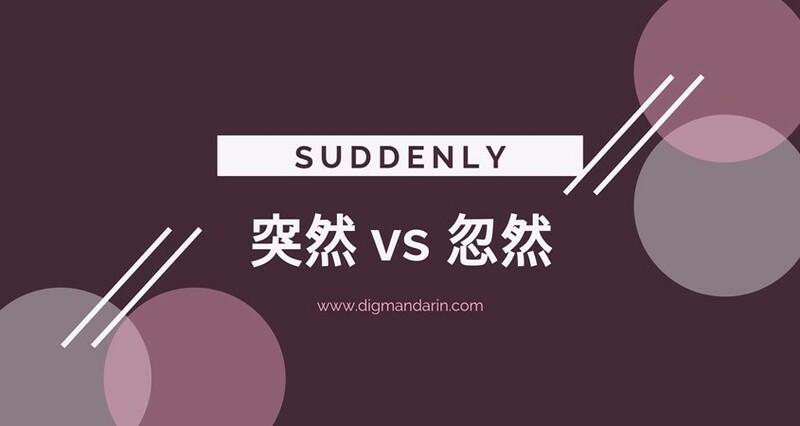 After all, having both Mandarin and English versions can easily impress employers at first glance compared to those who only have one version. 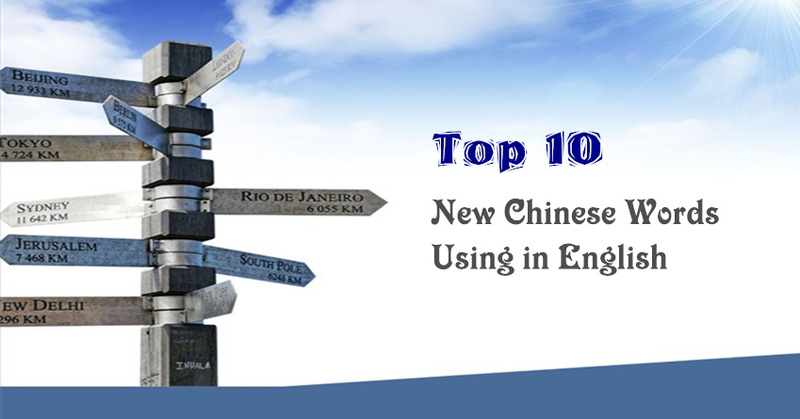 It`s also a good way to increase the chances that HR or headhunters find you when they search for keywords of potential interviewees in Chinese. As you know, it`s quite important to make your resume professional and accurate. 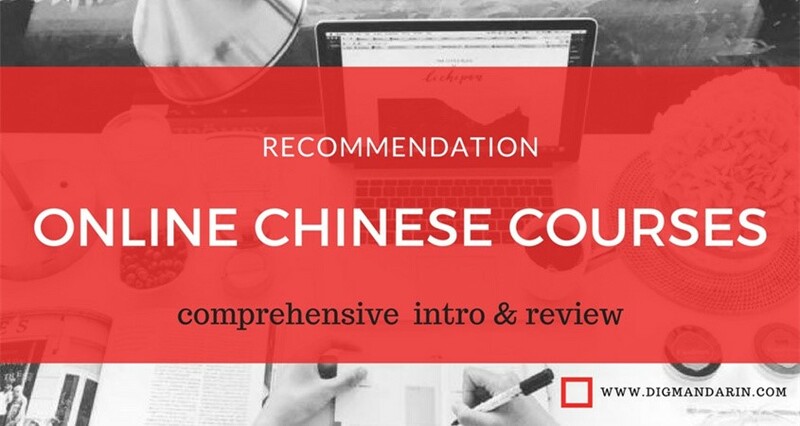 You may be wondering, “How can I write a great resume in Chinese?” Here, I`ll explain the key information which you need when writing your own Chinese resume. 1) It`s recommended to keep your resume to one page (at most, two pages) for each language version. 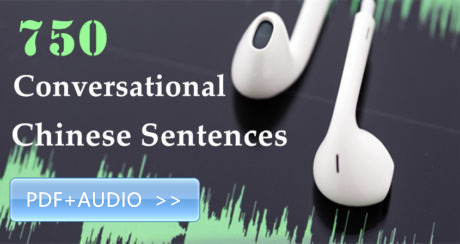 Try to make your points concisely. 2) If you are targeting a specific position, then stress on the related experiences and skills which can direct the HR to the points you want them to notice. 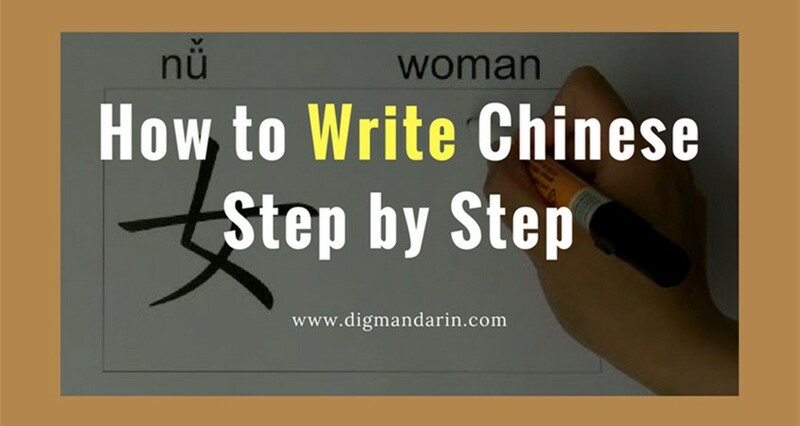 3) When typing your resume in Chinese, it`s better to use a normal font rather than some exaggerated cursive font which is not professional and taken seriously. Of course, if you are good at designing and need to catch their attention, then you can give it a try (at your own risk). 4) A neat and structured appearance is always welcome. 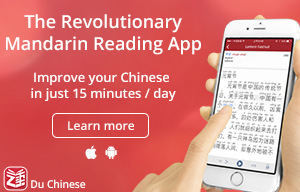 5) Chinese resumes actually are very flexible, depending on what you want to include or highlight. This first step is to highlight who you are and how you can be contacted. 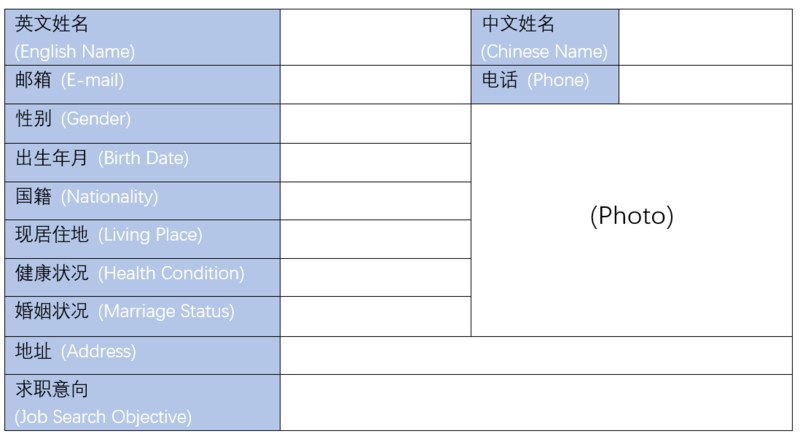 If you have a Chinese name then you can fill this in, but if you don`t have one, you can use your given name. The contact information is important and must be placed where it can’t be missed. A professional photo is usually attached at the top right corner. You may have found that the Chinese resume tends to include more personal details than the Western ones. 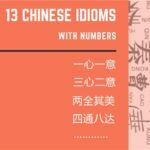 The items listed above are some common content in Chinese resumes. For Chinese people, “国籍”(nationality) is often replaced with “籍贯”(the place of birth). The address refers to the place you are now residing. 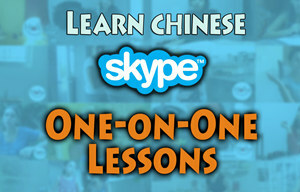 Job search objectives can be in multiple choice, so make sure you are using the correct terms in Chinese. Health condition and marriage status are also common items in a Chinese resume. This can be a culture shock for those used to Western resumes. If you don`t have any disease or disability, then just fill this in with “良好”(good)，“一般”(ordinary), or “较差”(bad), otherwise filling this space in with the disease or disability in detail. For marriage status, there are often three options: “已婚”(married), “未婚”(unmarried) or “离异”(divorced). In some resume sheets, there is a blank for you to fill in your “学历” (which refers to your highest degree attained). 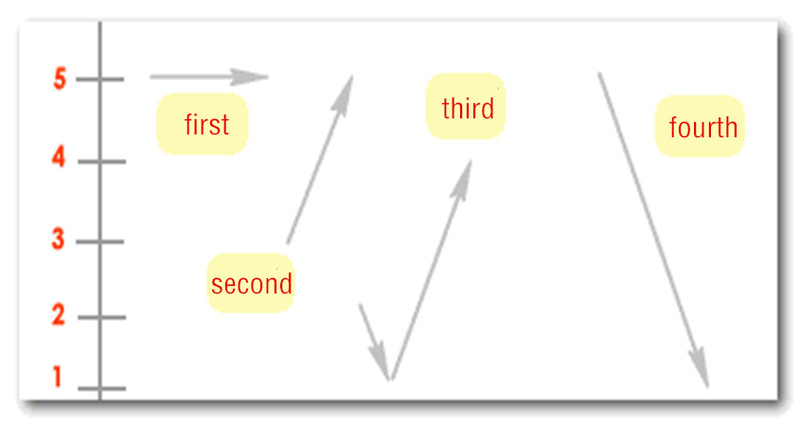 It`s not a must item since you have to leave a lot of space to write your educational background in detail. This includes the degree, the major, the school and related time duration. If you have some research achievements, this can also be mentioned. And remember to list your highest or most recent accomplishments first. If there is no special requirement, you don`t have to list your experiences all the way to primary school. Remember, it`s important to fit your resume into one (at most two) pages. Of course, if your educational experience is really beneficial for your job objective, especially if you have an advanced degree or have done relevant research, then you must elaborate on this. This part can help you to further persuade the HR into giving you more opportunities. In the structure listed above, these six items should at least be included. Your work experience should be listed chronologically from the most recent to the earliest. The content you need to elaborate on are your responsibilities and accomplishments from relevant tasks. If there is some key information you need to list to get your audiences` attention, then highlight it to make it easily seen. To emphasize the technical skills which you have acquired in your education, work, or daily life experiences, you can summarize all of these which are relevant to your job objectives. Foreign language abilities are also a kind of skill. 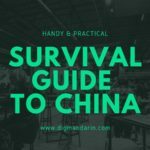 Since you are going to work in China or a Chinese company, stating your language ability can stand out, especially when you are good at Chinese. 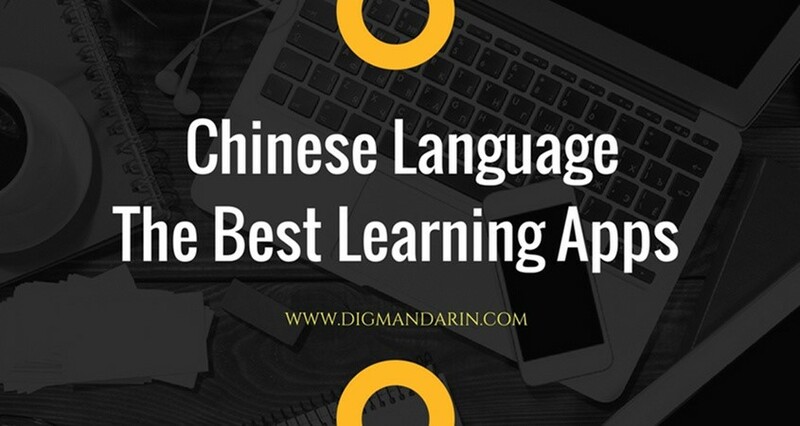 Unless your foreign language abilities are nothing, then just list all the languages you know and their respective proficiency levels. 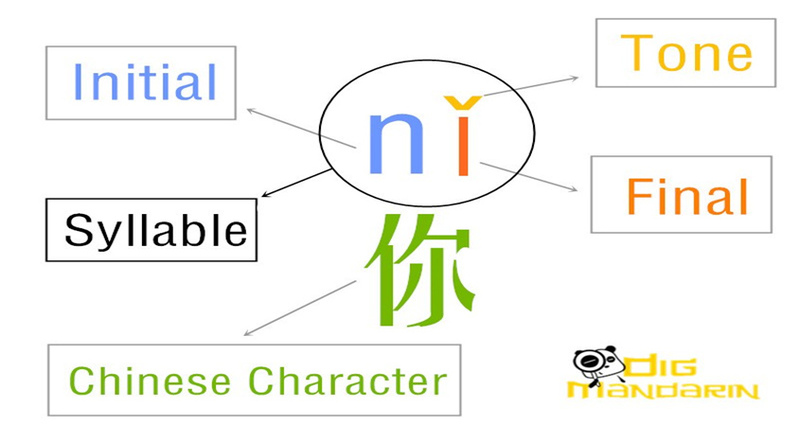 Instead of reference letters, self-evaluation is more popular and common in China. If you do have reference letters, it is an option to provide them. But the self-evaluation is still a necessary part, and this includes your hobbies, interests, personal characteristics, and some valuable experience sharing. It is a window to show if you are suitable for the company`s culture and the position you want. You can use this part to tell them what kind of person you are and what you can do for them. The key to find a satisfying job is a good resume. Make it as perfect as you can so it can give you more chances. 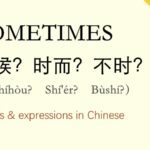 If you are still worried about the expressiveness of your Chinese, you can ask your Chinese friends` help, or get a professional revision from us. 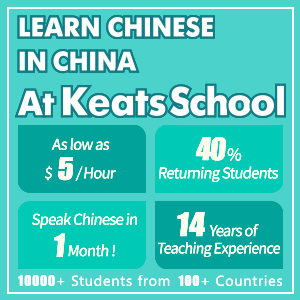 First things first, download the Chinese and English resume samples and start your job search now! I need help to write my resume in Mandarin .